Okay, so you know how obsessed I am with Italy? 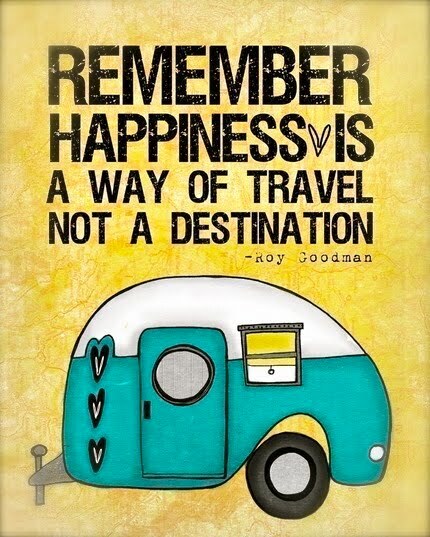 And Italian food. And pasta, garlic and basil. I could exist solely on a Mediterranean diet... well, maybe with a bit of Asian food sprinkled in here and there. Oh, who am I kidding? I love almost any type of cuisine! Do you remember the post about making Zucchini Fettucine with toasted pecans? It was back in 2011. Yeah, I had to look it up, too. Well, anyhoo... I made it again, but this time with a twist. Literally. 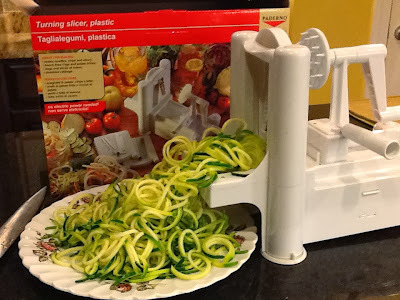 I recently read a blog post about one very smart mama sneaking veggies into her kids' food by using a spiral slicer to make spaghetti out of zucchini. She blended it with regular pasta noodles and served it with the usual marinara. The kids loved it. I'd so give her all the cred for this fabulous idea, but for the life of me, I cannot find her post again. I immediately thought about all of the things I could make substituting veggies for starchy pasta. In my effort to be healthier, I ordered the Paderno World Cuisine 3-blade spiral slicer from Amazon.com. It arrived on Tuesday. I'm not a big gadget girl, but I don't know how I've survived this long without it! It works like a dream, efficiently cutting the veggies into long, pasta-like ribbons, just like it says it will. (Truth in advertising makes me happy.) Clean up was a breeze. I wiped the blades off with hot soapy water, then rinsed everything and stuck it in the drainer. If you don't have one of these nifty gadgets and have no intention of ordering one, use your vegetable peeler. The zucchini won't be spirally, but it will still be really good. And healthier than pasta. Know how I know my recipe makeover was successful? I got a raised eyebrow from my pasta-snob, half-Italian husband. He wholeheartedly approved and cleaned his plate! Here are a few tips: Before beginning, go ahead and prepare all recipe components. Have them ready next to the stove... this goes very quickly once you get started. If you're serving a salad or other veggie along with your pasta dish, make it before you begin cooking. The objective is to keep the zucchini crisp-tender... a bit on the crunchy side. With spiral slicer or vegetable peeler, slice zucchini into long, spaghetti-shaped strips. (I used the blade with the smallest holes.) Set aside. In a large, flat saute pan melt heat butter and olive oil over medium low heat.. Add red pepper flakes and garlic. When garlic begins to soften, drop in the zucchini all at once and toss it about to coat with oil and garlic. Salt and pepper liberally. Veggies need it. Try not to cry while you're eating. And thanks, I know that you love me and want to be my new best friend. We'll talk about it later. Eat your veggies pasta.